AQUA [WATER], GLYCERIN, BUTYLENE GLYCOL, SORBITAN STEARATE, STEARIC ACID, ACACIA SENEGAL GUM, DIMETHICONE, CYCLOPENTASILOXANE, CETYL ALCOHOL, CAPRYLYL GLYCOL, DIMETHICONE/VINYL DIMETHICONE CROSSPOLYMER, HYDROLYZED RHIZOBIAN GUM, TRIETHANOLAMINE, SODIUM HYALURONATE, PHENOXYETHANOL, PEG/PPG-18/18 DIMETHICONE, ETHYLHEXYLGLYCERIN, PARFUM [FRAGRANCE], HEXYLENE GLYCOL, METHYLISOTHIAZOLINONE. Product is worth the price! I was skeptical at first. However, I was looking for a good primer, and decided to give this a try. Le me cut to the chase and say, I love this product. The firming effect is an instant uplifting feeling without heavy or tacky texture. My foundation glided on and my skin felt and looked silky smooth. I have been using it daily since I received it and will definitely repurchase. Although I like the locking cap, glass container would be the perfect next step for a 5 star product. 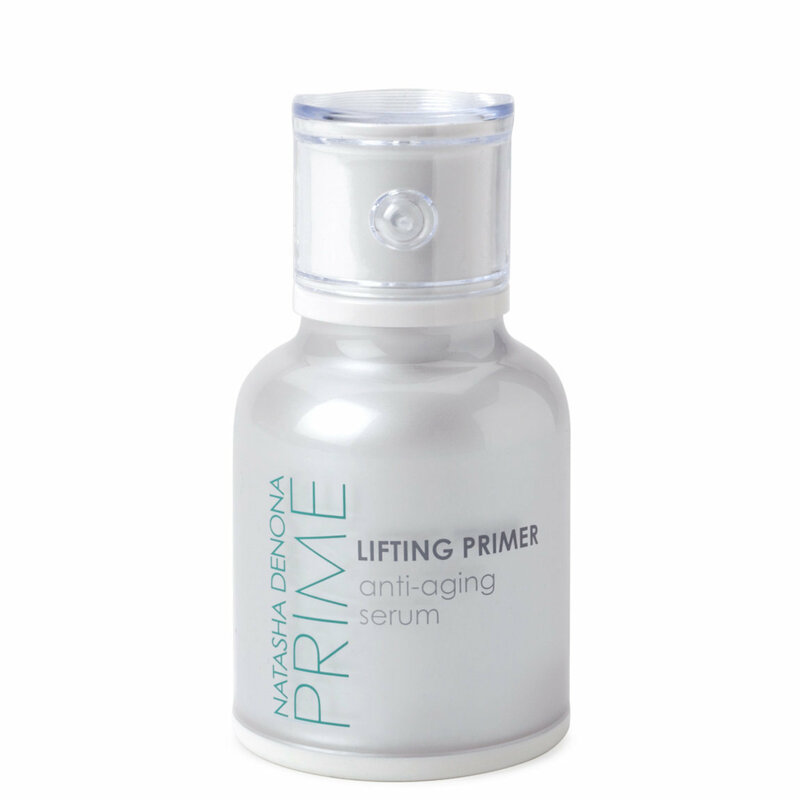 I didn't necessarily think that it lifted my skin, but I am very pleased with the fact that it has anti aging serum. And it feels great on my skin. To start with, the packaging is like a cheap plastic., for this price should be a lot higher quality. After using for a week, I see zero difference. So disappointed... Still can't wait in the eyeshadows though. I used to use MUFE Step 1 Skin Equalizer - good mattifiying effect, but still felt a layer of product on my skin and would be oily again after 4 hours. I switched over to using the Kevin Aucoin Primed Skin Developer (N/O) and the Natasha Denona Magic Primer Anti-Shine Flawless Face Base. Both of these are divine gel primers that melt into the skin, leaving it semi-matte and gave much better oil control than the MUFE S1SE primer. The primer is also a gel-like texture, melts into the skin leaving it semi-matte. Combined with the Phenomattic foundation = beautiful all-day matte, soft, non-oily skin. I can't say whether the oil-control is excellent because of using the 2 products together, however, it's nice to have a primer that has got anti-aging properties as well. Will still need to try the primer out with my other foundations. I'm not one to write a lot of reviews, however, when a product merits the attention......i run to my keyboard. This product had me SPRINTING to my keyboard. The most HATED aspect of makeup is when, during the day, we have to stop and Touch UP. Ever since I've been wearing this primer, my touch up days are over. By noon, I was patting my face with a powder to tame down the shine. Not with this...... This is, with doubt, THE BEST primer i own. I could care less about the price, because it works so well. I have porcelain skin that requires serious sunscreen, which comes from france.....so from the starting block I felt I was at a negative because of the viscosity of the sunscreen. However, with this primer, my sunscreen has been tampered DOWN. No more oil slick by noon. If you want a face that is smooth and clean.....and not shiny and unprofessional, you MUST try this primer. You will not be sorry and your makeup will actually STAY on your face all day......love. love. Love this primer....it is a MUST!!!!! !